Christmas shoppers could have their faces scanned in central London this week as part of a police trial. The Met says it will invite people to take part in testing the technology rather than scanning people covertly. The trials will be held near Soho, Piccadilly Circus and Leicester Square on Monday and Tuesday. Privacy campaigner Big Brother Watch has described the use of such technology as "authoritarian, dangerous and lawless". In a statement the group said that "monitoring innocent people in public is a breach of fundamental rights to privacy and freedom of speech and assembly". Officers say the software can identify people wanted by the police or the courts. An investigation by Big Brother Watch earlier this year suggested the technology flagged up a "staggering" number of innocent people as suspects. The Met said "clear uniformed" officers would carry out the trials and distribute information leaflets to the public for about eight hours on both days. It added anyone who declined to be scanned during the deployment would "not be viewed as suspicious". 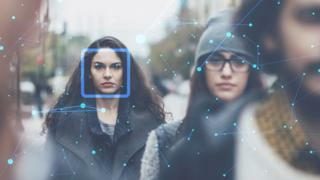 The UK's information watchdog started investigating the use of facial recognition technology by police forces in November. Elizabeth Denham, who was appointed Information Commissioner in July 2016, said in a blog published earlier this year that the technology could bring "significant public safety benefits". However, she said its application could also be "particularly intrusive", and represented a "real step change in the way law-abiding people are monitored as they go about their daily lives".